Too Many Static Signs at the DIGITAL SIGNAGE Expo! 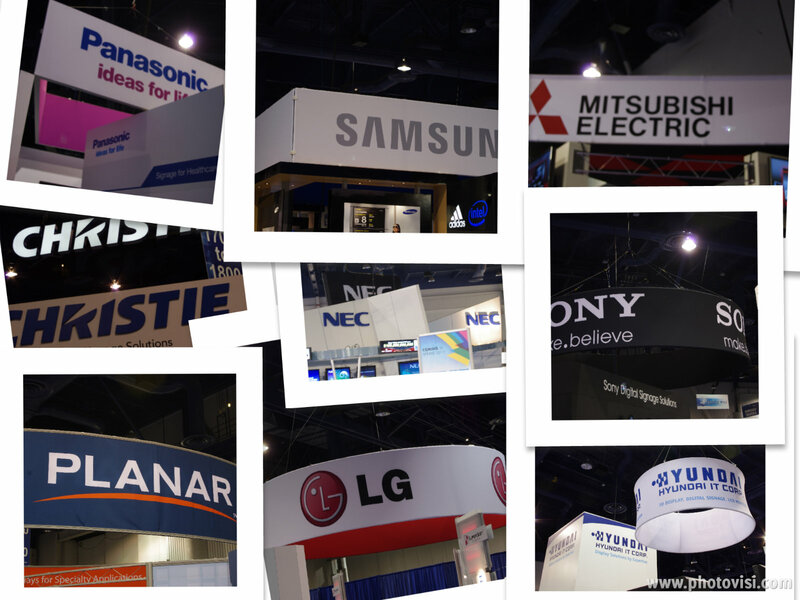 One of the things that caught my attention at DSE last week was the overabundance of static banners above all the display manufacturers’ booths. This to me was crazy…it’s the DIGITAL SIGNAGE Expo and this is what we get from the creators of Digital Signs? 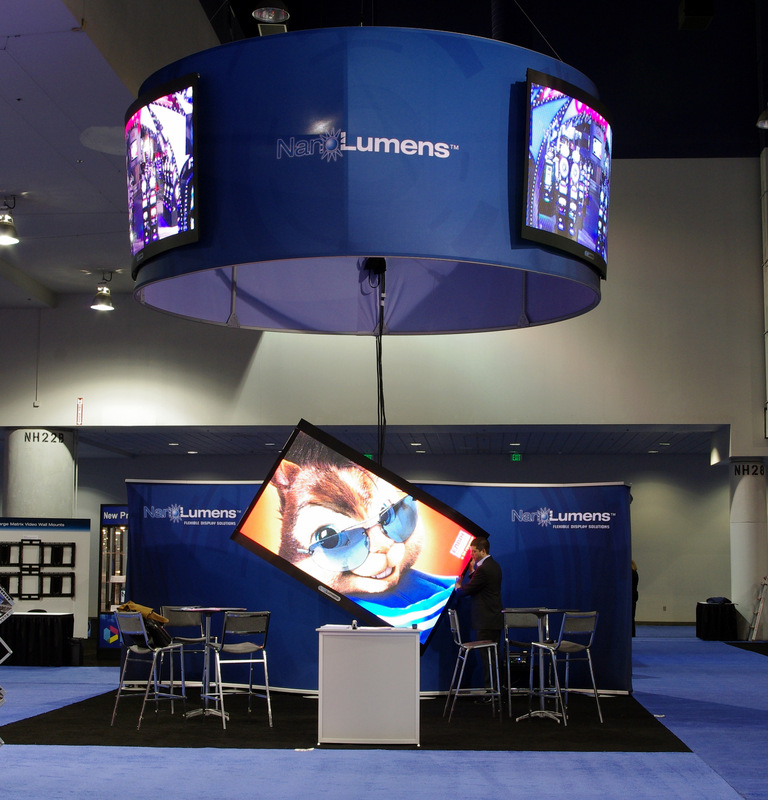 There was one beautiful booth however that had two 112″ displays around a circular banner, hanging high in the air for everyone to see…in fact you could see these displays from virtually anywhere on the floor. I’m obviously tooting the NanoLumens horn here but big ups to the home team for making this happen…and take that you large display manufacturers! Adrian, Thanks for reading and appreciate the feedback. You make a great point regarding poor signage use. However, with regards to the rotator, you mention “manual” as if automated is a common occurance. The reality is that we didn’t have to rotate it all. We could have left it portrait (just like all of the other portrait signs at the show) or left it landscape (just like all of the other landscape signs at the show). We chose to try something different and give ourselves and or guests the orientation option. And it drew a lot of people in to the booth, who provided great feedback, which was our hope. We are always looking for improvement and will take your thoughts into consideration for the next booth build. Thanks again for the notice. hey, nicely photos taken at the digital signage expo. you seen our company LED video wall F380i ?